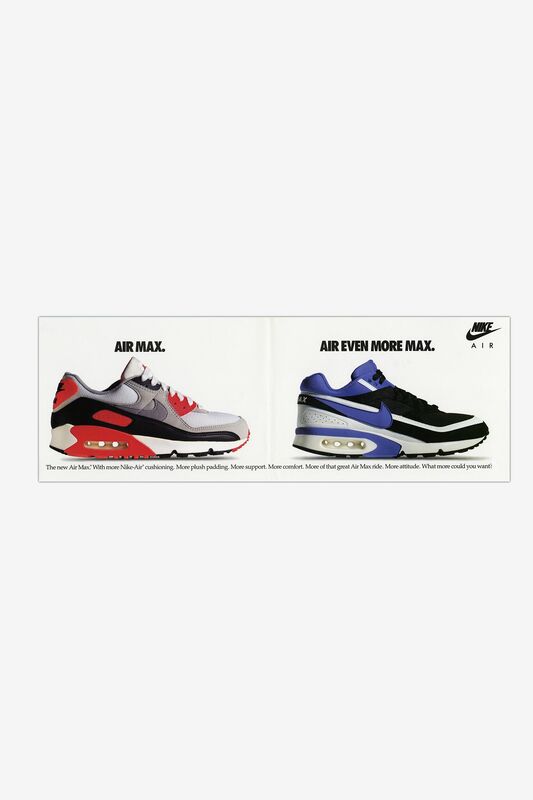 Originally known as the Air Max IV, the Air Max BW was first introduced to the world in 1991. Representing Nike Running’s transition into the ‘90s, the Air Max BW featured increased padding in the collar and overall support. 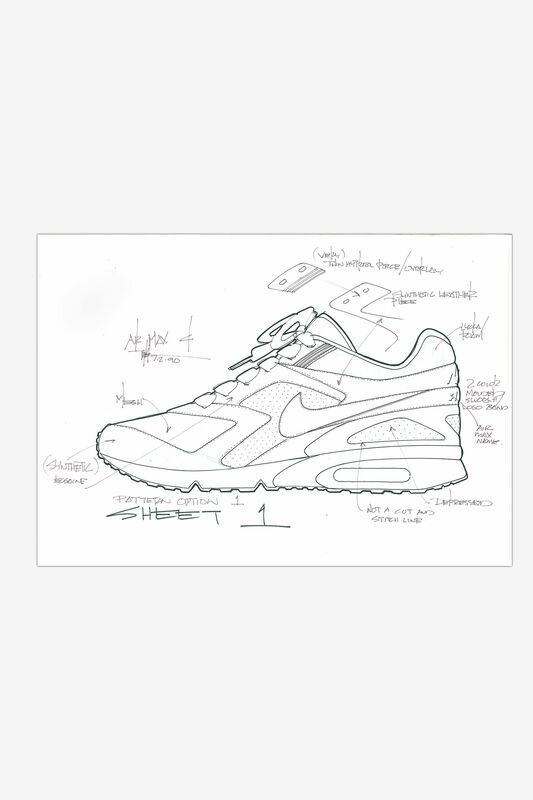 One of the most iconic features of the Air Max BW is its 'sharply angled' line, which implies speed and cutting edge design. The most recognizable element of the silhouette, however, remains the 'Big Window' Nike Air cushioning, from where the shoe gets its name. 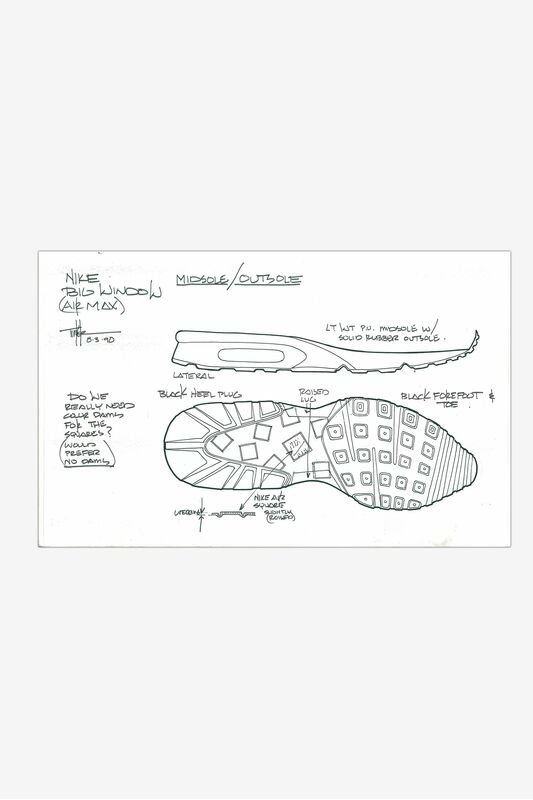 The Tinker Hatfield design was initially introduced in three colorways: a black, white and Persian Violet iteration, a clean blend of blue and green tones, and a white, black and Persian Violet look for women. Beefier, bolder and more cushioned, the BW was introduced alongside the Air Max 90 in an ad showcasing its beneficial updates. 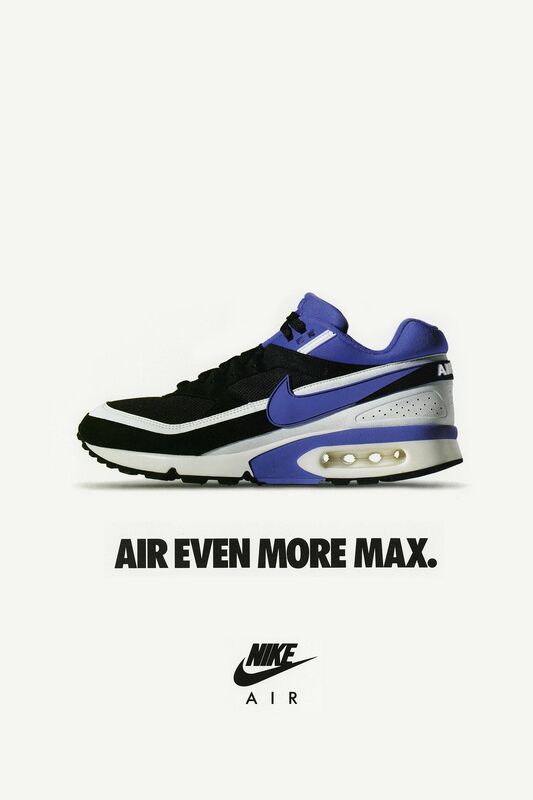 Now celebrating 25 years of 'Big Window' greatness, the iconic Air Max BW returns in its truest form. 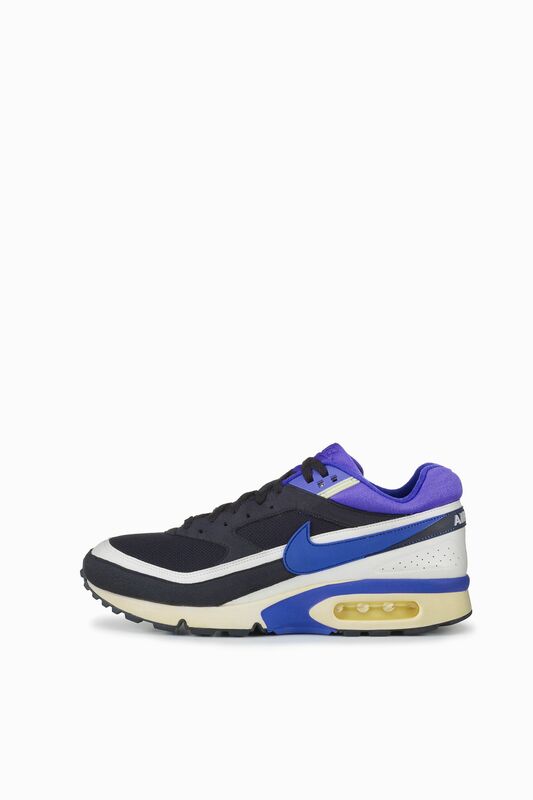 The style comes complete with the iconic and heavily contrasted black and white upper, paired with the same Persian violet hue that’s become synonymous with the silhouette.